The last book (for now) is titled Circling the Midnight Sun: Culture and Change in the Invisible Arctic by the Canadian geographer, writer, speaker: James Raffan. I found this book riveting ... it's about the four million people in eight countries, speaking dozens of languages and representing almost as many indigenous ethnicities. I made lots of notes ... but as I was leant this book - I need to get my own copy ... that says it all really. ... this is where having read Island of the Blue Foxes, as mentioned in part 2, was really helpful ... 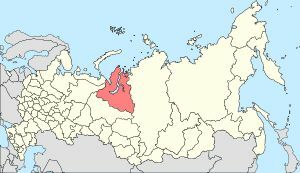 I had some notion about Siberia ... and now recognise some of the names. Yes, I have other books on the go ... but I thought you'd be interested to know about these ... back to normal posts in the future - but more books will follow anon! Definitely a book I need to track down and explore. Nice to know about the book! One of these days, I need to travel north on an adventure and see some of thes places! Indigenous people are too often the forgotten people. Here is your best line. We in the middle latitudes may be worrying about climate change but they (the indigenous peoples) are concerned about their loss of language, cultural decay, loss of land. Yes!!! I would still put climate change at the top of the list, but I would recognise that the indigenous peoples did not cause climate change around the world. Not even in their own areas. sounds quite interesting. Does make one think about the bigger picture for life. Wow, that does sound interesting! That does sound so interesting. Those people are amazing how they live in such harsh conditions most of us couldn't imagine. Hi, Hilary! What a fascinating book. I'll have to add it to my to-read list. As always, thanks for the visuals to help me see where we are. I like how you connected the culture and land of the indigenous peoples to their souls. Very powerful. Their land should be their home. I learn so much reading your blog. Thanks! Enjoy your summer. 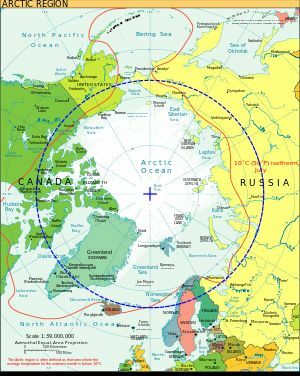 I don't know much about the Arctic or the people who live, so this post opened my eyes to a few facts. Thanks! His journey certainly puts my travels in the shade! I'm sure it's a fascinating read. I have been a bit quiet in your comment section of late, mainly because I'm not a great reader of books - writing yes, reading no! Just the title of this book "Circling the Midnight Sun" has me captivated. I've not only enjoyed reading this series of posts about the books you've been digging into, but I'm also enjoying seeing how you settle into research and discovery - it's a wonderful process to witness. @ Keith - totally understand ... I was in your position until I read the Patrick Leigh Fermor books two years ago ... and particularly now since I was invited to join the book club ... which I'm totally enjoying - hence the books ... and research into things Canadian ... a learning curve to say the least. Sounds fascinating! I didn't realize just how many people live up there. It's heartbreaking to know that an entire region of people is facing the loss of not just their land but their culture too. @ Sandra - it riveted me: page to page! Yep, when you want to buy a copy of the book you have borrowed, that really does say it all. :) Hurrah for awesome reads. I bet it's cold up there in the winter! I love that you are always stretching and broadening your horizons. You're an inspiration to us all. Sure one place I wouldn't want to live, but quite impressive how people live there and quite the sight to see. Looks like this is another book I should read. Will check it out. And, next week, sometime, I will post Rust no.18, check it out. It's SA rust! Great - I'll keep an eye out for South African rust! You are certainly getting hold of some interesting books Hilary. This one in particular sounds good. An interesting journey.